Despite changes over the years, the social and citizen rights of older adults remain a major social issue. Indeed, despite the legal recognition granted on multiple levels, older adults often have to assert their rights and engage in efforts to have their needs recognized. For nearly 40 years now, there has been a decrease in social solidarity offered to older adults through social relations, structures, and government policies (Grenier, J., Bourque, M. et N. St-Amour, 2015). Even if the notion of dignity that appears in several political discourses, has less power when considered within the context of reduced solidarity; «Without being generalized, this lack of solidarity produces and reproduces exclusions … and testifies to the incapacity of social structures, as they are currently thought and oriented to look after the interests of the community in all its diversity, to «live together» (Billette and Lavoie, 2010: 16). 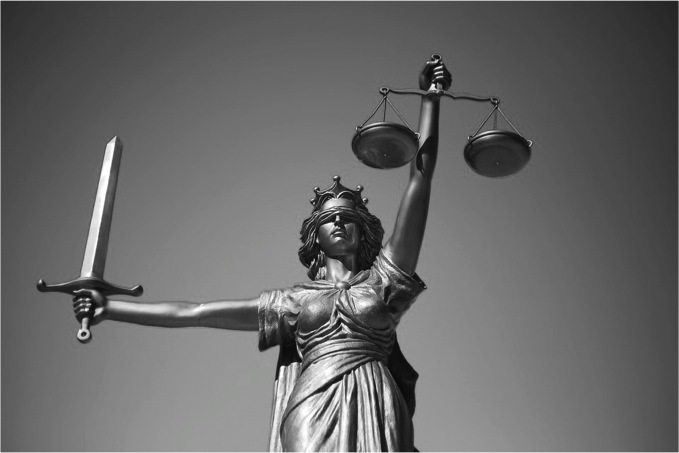 In the field of law, the Charter of Rights and Freedoms outlines that all human beings “are equal in worth and dignity and have the right to equal protection of the law” (Quebec, s.d.). Yet, experiences of injustice can result in various forms of oppression, including the lack of recognition of certain rights and specific needs, such as access to health and social services. This denial of recognition is the product of the functioning of social institutions, that carry normative values and are expressed and lived through social relations (Renault, 2006). The result is that certain categories of individuals become subject to injustice or are simply rendered invisible in public policies and institutional services. This lack of recognition can directly lead to an inequitable distribution of resources (Nadeau, 2007; Fraser, 2004). A major domain where this lack of recognition applies to older people is in the case of health care systems. In the province of Québec, as elsewhere, the numerous reforms of the public health care and social services system have not produced the improvements that are needed with regards to services offered to older adults. Rather, serious deterioration is reported, especially in the social services, and have failed to achieve some of the stated intentions of improved quality of care, lack of services, better access to public services (Grenier, Bourque et St-Amour, 2017; Bourque et Grenier, 2016 ; Grenier, Bourque et St-Amour, 2015 ; Richard, 2013 ; Bourque, 2009). Examples of the failure to adequately address older adult’s needs include mistreatment and/or abuse of patients in hospitals of long-term care, as well as the lack of home care services, a reality denounced by the Protector of the citizen of Québec in September 2017. Increasingly unable to meet demand, certain institutions have cut services. For example, the time for running errands is no longer calculated for allocation purposes. Several institutions have terminated cost-free domestic help services without taking users’ ability to pay into account. In other cases, natural caregivers are constantly called on to do more and more, sometimes at the expense of the dignity and privacy of the person being helped (Protector of the citizen of Québec, 2017, p. 106). Furthermore, in Québec, the Québec ombudsman (2017) has pointed out major cases of ill-treatment in hospitals and long-term care, that are caused by the reduction of time granted to each person. As a direct result, complaints to the Québec ombudsperson, Marie Rinfret, are rising significantly[i]. Cited examples include people having to pay extra charges to get a second bath per week, meals of inadequate or of poor quality, and patients leaving hospitals without appropriate support planned for home care. Home care services are increasingly being set according to performance targets and efficiency (i.e., the faster the better), resulting in reduced services and less time for older people. Together, these examples indicate that the dignity of the is not the primary focus of the government when health care and social services are concerned. Further, the goal of reaching a particular target signals the loss of time for compassion, and sends strong messages about the social value of older adults (i.e., who needs them). Where is the place for dignity here? Amidst such practices, there are rising concerns about inequality among older people. Even in Quebec, which is often attributed to be Canada’s more socially minded province, a large private sector is developing in home care. This is creating a two-tier system and further challenges because some of the private senior’s residences are not properly equipped to take care of older people with severe reduced autonomy (Protector of the citizen of Québec, 2017, p. 111). In this context, people who have more money often get better services that are more adapted to their conditions, creating situations where inequalities observed in health are directly linked to social inequalities (Bourque, 2009). The struggle for social and civic recognition for older adults and their needs, thus require attention to social inequalities, and how income and services may be more fairly distributed. The same situations of reduced services apples to long term care (CHSLD) where the sector has witnessed « a decrease of 2,763 in the number of places between 2013 and 2017 (1) and a decrease of 8,000 places over the past 25 years (2) (Association des ressources intermédiaires du Québec, 2016, p. 8 quoted by the Protector of the citizen of Québec, 2017, p. 87). How can we explain this decrease in places, given the growing number of older people who need care. Such decisions seem to suggest a negligence on the part of the Ministry of Health and Social Services that places seniors in compromising situations. With the reform of the health and social services network in April 2015, the public institutions went from 182 to 34. As the Protector of the citizen of Québec said :«There has been a disturbing insouciance […] over the past five years […]» (Protector of the citizen of Québec, 2017, p. 87), and what the Protector of the citizen of Québec has called a “a race to the bottom.” Despite needs that have not changed, people who had received a few hours of home support a week now learn that they no longer qualify (Protector of the citizen of Québec, 2017, p.8). Together, these illustrations draw attention to the problem that exists with regards to the recognition of older people’s social and citizen rights, inter alia, on the issue of other social protection and access to services in accordance with their needs (Grenier, 2012). Yet, the values ​​of equality, recognition and dignity can only exist in a just State, where individuals and the community come together in support of solidarity. The problem however, is that we are losing ground where dignity, justice, and solidarity are concerned. Bourque, D. (2009a). Transformation du réseau public de services sociaux et impacts sur les pratiques des intervenants sociaux du Québec, colloque européen (CEFUTS). Le travail social à l’épreuve du management et des impératifs gestionnaires, Université Toulouse 2, 2009, Cahiers de recherche 0907, Chaire de recherche du Canada. Bourque, M. et Grenier, J. (2016). Les impacts des transformations du système de santé et des services sociaux sur le travail social : ruptures et repositionnements. Dans Brigitte Baldelli et Kheira Belhadj-Ziane (dir). Transformations sociales et transformations de l’intervention sociale. Vers un renouvellement des postures professionnelles et scientifiques de l’intervention sociale. Paris : l’Harmattan. Grenier, J., Bourque, M. et N. St-Amour (2016). « La souffrance psychique au travail : une affaire de gestion? », Intervention, no 144, p. 9-20. Fraser, N. (2004). Justice sociale, redistribution et reconnaissance, Revue du MAUSS, vol.1, no. 23, p.152-164. Grenier, J. (2012). Regards d’aînés : justice, autonomie et responsabilité (thèse de doctorat). Université de Montréal. Nadeau, L. (2007). « L’altérité dans la rencontre de psychiatrie transculturelle. Éthique de l’altérité», dans C. Montgomery et M. Cognet (dir. ), Éthique de l’altérité. La question de la culture dans le champ de la santé et des services sociaux, Québec, Les Presses de l’Université Laval », p. 177-190. Renault, E. (2006). La reconnaissance au cœur du social, Sciences Humaines, no. 172. URL : http://www.scienceshumaines.com/index.php?lg=fr&id_article=14471. Richard, S. (2013). «La souffrance psychique et morale au travail : enjeux pour les professionnels du secteur de la santé et des services sociaux», Reflets, Vol.19, no2, p. 10–24. The Bill 10 is a threat to the socials services and more over : «Dilution of social missions; Increasing inequalities; Decrease in the quality of services; Weakening of the 1st line; Privatization of services; Decrease in staff Closing of services» (fédération de la Santé et des Services sociaux, n.d.). http://www.fsss.qc.ca/le-demantelement-du-reseau-de-la-sante-et-des-services-sociaux-en-gaspesie-iles-de-la-madeleine/ (Translation by the authors). The lack of investment of the Ministry of health and Social services had several impacts on the services for the older adult « […]an increase (+4%)4 in the number of people living in private seniors’ residences; a decrease (-8%) in the number of places in family-type resources; a rise (+34%) in the number of seniors with increasing loss of independence who live in intermediate resources; a decrease (-2%)5 in the number of places in CHSLDs» (Protector of the citizen of Québec, 2017, p. 87). It is important to note that this reform was, like the previous one, adopted under a gag order. Josée Grenier (left) is a Professor in Social Work at the University of Quebec in Outaouais, on the campus of St-Jérôme. Her research focuses on gerontology, homeless woman, ethics / bioethics, the transformation of social work practice in the health care system and social services. She has an affiliation with the ERTS – Équipe de recherche travail et société, the CRI-VIFF – interdisciplinary research center on domestic violence and violence against women - and RRSPQ – Quebec Population Health Research Network (RRSPQ). Mélanie Bourque (right) is a Professor in the Department of Social Work at the Université du Québec en Outaouais, campus of St-Jérôme. Her research focuses on public policy transformations in the domain of social protection. Her most recent research focuses on the transformations of the health and social services network and their impacts on social workers (SSHRC). She is responsible for the Research Center for Social Innovations and the Social Economy (CRISES) and is a researcher at the Quebec Population Health Research Network (RRSPQ).